When it comes to cultivating cannabis, there are pros and cons to growing in a greenhouse. At the end of the day, what matters most to the person growing the weed is getting as much yield as possible. More yield means a greater return on your investment. Therefore, is getting a greenhouse worth this investment? 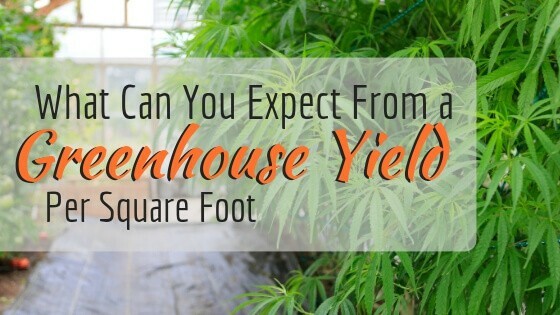 Let’s take a look an in-depth look at the greenhouse yield per square foot as compared to growing cannabis indoors and outdoors. There’s no wrong way to eat a Reese’s. Well, there’s also no wrong way to grow cannabis. Seeing that there’s been a long-standing prohibition on marijuana, much of the weed made in the last century has been done so behind closed doors. Growing cannabis indoors has given birth some of the most popular strains today. That’s because you can control the elements in which your plants are living. Therefore, growing indoors allows you to pinpoint and maintain the ideal environment for all of your plants to produce the highest yield. While growing indoors is an efficient way to grow weed, it might be not the most cost-efficient. This is especially true if you live in a climate that doesn’t get much below 50 Degrees F when the sun goes down. Then your best bet is to grow outdoors. Even if you can’t grow as big of a yield, you will still grow a sufficient amount using sunlight and rain. This will offset electricity and water bills of indoor growing. In the end, you could save just as much money growing outdoors as you would be making getting extra bud with ideal indoor climates. Greenhouses can help solve your debate between indoors and outdoors. The most costly aspect of growing indoors is running the grow lights during the hours that the sun would beat on the plant if it were outside. Having an exposed ceiling like a greenhouse allows you to forgo using grow lights for most of, if not the whole day. Unlike being outside, the plants aren’t susceptible to Mother Nature’s predictable events inside a greenhouse. Harsh winds and fallen tree branches can’t damage leaves or rip roots out of the ground. Another leg up from growing cannabis inside of a greenhouse is that you can still control the temperatures like indoor cultivators. Being indoors, you can add heaters to combat colder outdoor climates to grow cannabis all year long. By using propane heat or natural gas, you can increase carbon dioxide levels to promote even more growth. Just be sure to install a carbon monoxide detector in multiple areas of your property. How Much Cannabis Does a Greenhouse Yield Per Square Foot? It’s tough to give an exact measurement of what to expect. For one, the outside climate that your property is situated on is going to affect the outcome. From there, how you control the elements inside of the greenhouse itself, such as humidity and temperature, may also have a lasting effect. In a piece by the CannabisBusinessTimes, the news source estimated the average yield per square foot. They surveyed cultivators who run greenhouses that got as high as 60 grams per square feet to as low as 20 grams per square feet. While that is a big swing from one end of the spectrum to the other, the average was pretty close to the lower end. The mean for those surveyed was 39.5 grams. If you are looking to get a significant return on investment when it comes to your greenhouse, then you need to put a little money into your greenhouse. You want to create a greenhouse built to stand the test of time. For one, use galvanized steel framing over PVC tubes or other plastic and breakable pieces. This is important because growing cannabis creates a lot of humidity. Water vapor corrodes most metals, causing them to add pollutants into the atmosphere. With your cannabis’ stomata open, the plants can take in heavy metal particles. Choosing the right cover is crucial for an optimal greenhouse yield per square foot. The cover is critical because it plays an integral role in heat retention. Today’s greenhouses tend to be made out of polycarbonate and polyethylene film. You want to get a cover that has high-diffusion glazing. That way more light gets bounced around. This allows for leaves under the canopies of cannabis plants to get more nutrients from natural sunlight. Seeing as you can control the elements inside of a greenhouse, you can make the most of your yields by getting a cover that blocks out UVB rays. UVB rays can destroy some of the compounds of marijuana when the plant has been exposed to the sun’s radiation for too long. If you live in an area where 100 Degrees F is commonplace, then invest in some shade cloths. This will reduce harsh light levels. In turn, it will lower the heat that can burn bud. Shade cloths are made from many materials. It’s suggested not to get black because it absorbs heat. Therefore, it will hold in the hot temperatures along with your plants. While you will be shading them from the sun, you will also create a sauna for your cannabis crops. What Types of Shade Cloths to Use For Greenhouse? When it's time to cover up, opt for a material that will reflect the sunlight into the atmosphere. You don’t want to get a shade cover that will hold onto the heat. Therefore, choose a shade cover that’s either a reflective white material or comprised of aluminum. One of the benefits of growing cannabis in a greenhouse is offsetting high electrical costs of running grow lights. With that being said, you will still need to invest in some grow lights. The sun isn’t out the same amount of time during the winter season as it is during the summer. Therefore, your plants aren’t going to get adequate lighting from sunlight alone during the darker days of winter. Also, if temperatures drop too low outside of your property during these months, the grow lights also work as a heater. So, in the hours after the sun goes down, giving your plants light will not only feed it nutrients but it will help the plants fight off growing frost. Think of a greenhouse as a steamed up car. What do you do to get the windshield unfogged? You roll down the window. Make sure that you build your greenhouse with a ridge vent to circulate air. However, go the extra step by getting roll-up side walls. This is a great way to maintain cooling costs. Not to mention, allowing fresh air from the outdoors can be beneficial for the plants. Greenhouses have become a growing trend that the cannabusiness is keeping their eyes on. Seeing as there are so many ways to balance the benefits of indoor and outdoor growing, there is no reason that the greatest cannabis yields can’t come from a greenhouse. Analysts predict that greenhouses are going to grow larger as the marijuana industry grows. Currently, most greenhouse ventures run between 10,000 and 20,000 square feet. How Much Does a Large Greenhouse Cost? How much a large greenhouse depends on who is building it and how big you want it to be. On the low range of things, you can get a low-end, smaller greenhouse for as little as $5,000. 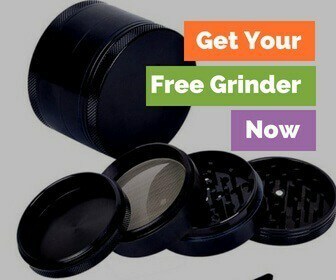 This is for home cultivators and hobbyists. For production, you are looking around $25,000. The national average is currently $13,893.